I work at IMAX theaters, and we showed an advanced staff screening tonight. Having been surrounded by posters and trailers for Spiderwick Chronicles for months, I was already sick of the film before I even saw it. But I went into it with an open mind, and found myself pleasantly surprised. The plot centers around a broken family that moves into an old house that has been in the family for years, in hopes of "starting over". Freddie Highmore plays two roles, twin brothers Jarod and Simon, and does an impressive job at keeping the two personalities distinct and different. Jarod, the angsty protagonist of the film, discovers a book (titled, the Spiderwick Chronicles) written by his late great uncle depicting in explicit detail the creatures of a "hidden world" all around us. Jarod reads the book, and in the process awakens an evil Ogre and a horde of goblins hell bent on obtaining the knowledge hidden within the book to destroy mankind, and creature-kind as well. 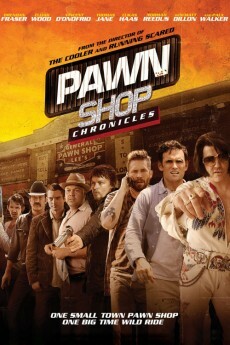 The pacing is decent, and the acting works well within the context of the film. Oddly, it's the adult actors that deliver the lamest lines, as they seem profoundly out of place in this otherwise fantasy and child actor filled film. The CGI effects were well implemented too, with various characters and creatures popping up here and there to provide comedic relief, and often, pivitol plot development. The various supporting characters do a great job of keeping things moving, most notable being Jarod and Simons sister, Mallory, played by Sarah Bolger, who delivers a great performance. Having never read the books, I can't make any comparisons, but what I saw in the film I liked quite a bit. 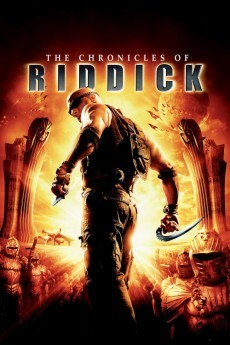 Not the most complex of movies, and there are some glaring plot holes here and there, but overall, it holds up pretty well, albeit some wonky script writing here and there. 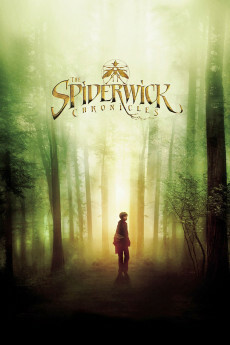 The Spiderwick Chronicles is based upon the books of the same name by Tony DeTerlizzi and Holly Black. 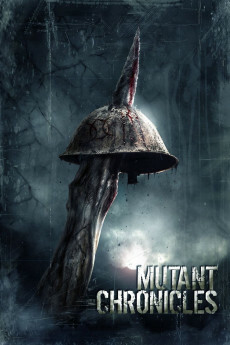 The film centers around a mother and her three children who move into a mysterious and creepy new house pretty much in the middle of nowhere. The one son Jared who is the main character in the film, finds a book written by the previous owner of the house and Jared soon discovers that this is a magical yet very dangerous book that a lot of goblins and little creatures are after, but with the help of his twin brother, his older sister and some friendly creatures he gets the book to safety and also protects himself and his family from the evil monsters that want the book to do harm. Ever since The Lord Of The Rings and Harry Potter films have done so well, filmmakers are taking other fantasy books and turning them into feature films as well. The majority of them that have been released over the past few years I have not seen because for one thing they did not look appealing to me at all and also because of bad word of mouth and reviews. I wasn't sure what I would think of The Spiderwick Chronicles, but to my surprise I thought it was pretty good. The film is aimed at a family audience even though some young children might be afraid of some scenes, but this is a film that I think kids will absolutely love and there is enough here for the grownups as well. The story sounds simple enough, but it is enhanced by a lot of creative creatures and imaginative things going on. The young cast each did their own and carried the film and even though I don't usually like computer generated effects in films, I didn't feel it was overdone here just for the sake of showing what today's new wonderful technology can do and I really appreciated that the film didn't go overboard with that. The running time moves along fairly briskly and the film is involving and interesting from the start and keeps it's energy and charm throughout the running time. There were a few repeated story patterns and clichés in the script, but there were also a lot of surprises and new takes on things, so that can be forgiven. When looking at a film like this at a child you would like the magic, imagination and the story that is woven in front of you with interesting characters, environments and a grand sense of storytelling that can make the make believe into a fun and entertaining film. This is all captured very well here and works as a fairy tale for kids 8 to whatever age. A creative enough story helped by good film-making and an eye for what kids and adults love about these movies make this film a generally good and above average family fantasy film of the past few years. Went to a UK preview tonight and this completely took me by surprise. 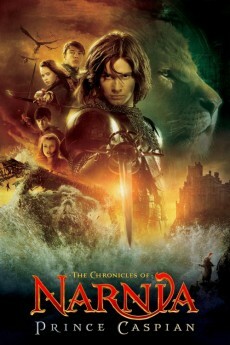 A brilliant fantasy adventure which retains it's dignity and doesn't sell out for a cute Disney style box office attack. The issues in it were quite good and realistic and it wasn't necessarily 'happy ever after' in the end. The scripting and the style of the piece reminded me of 'The Princess Bride'- although this is more of an action adventure than a comedy. As to the monsters / fairies- they were very well done indeed, quite believable considering they were computer generated. Why do I keep saying children's movie when I am 34?